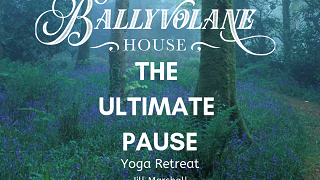 Welcome to Ballyvolane House, a historic Irish country house of extraordinary warmth, style and comfort that provides luxury manor house accommodation, bespoke intimate weddings, glamping and salmon fishing on the river Blackwater, located in the beautiful North Cork countryside of southern Ireland. This stunning video of Ballyvolane below, made by Conor Lennon in Summer 2017, gives a great sense of our idyllic location - thank you Conor! We are delighted to have been bestowed with quite a handful of prestigious awards & accolades over the years. See what our guests have to say about us here. We stayed for 3 nights to celebrate my wife’s birthday. From the moment we drove up the driveway until we reluctantly left, we enjoyed every minute. We were warmly welcomed by Debbie who showed us around. Our room was old fashioned elegance with wonderful views over the gardens. The al fresco breakfast was superb as were our evening meals; everything was fresh and delicious. 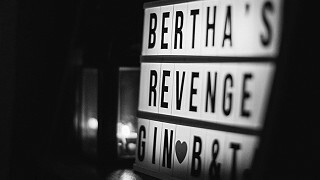 Bertha’s Revenge Gin was beautiful; you must not leave without a bottle (or two). A huge thank you to everyone who made our visit so special, and a special mention to Bernie, who was simply delightful. We can’t wait to return. Read more reviews on Tripadvisor here.